It’s Here! 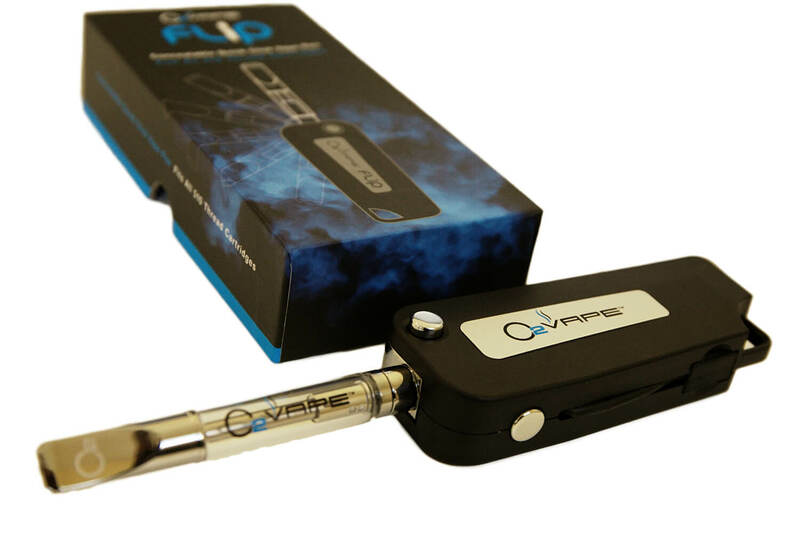 The O2VAPE FLIP® vape pen is the most popular vape pen innovation from O2VAPE. This is the professional, concealable, quick click vape pen. If you are looking for the ultimate oil vape look no further. Why is the vape nation raving out about this pen? 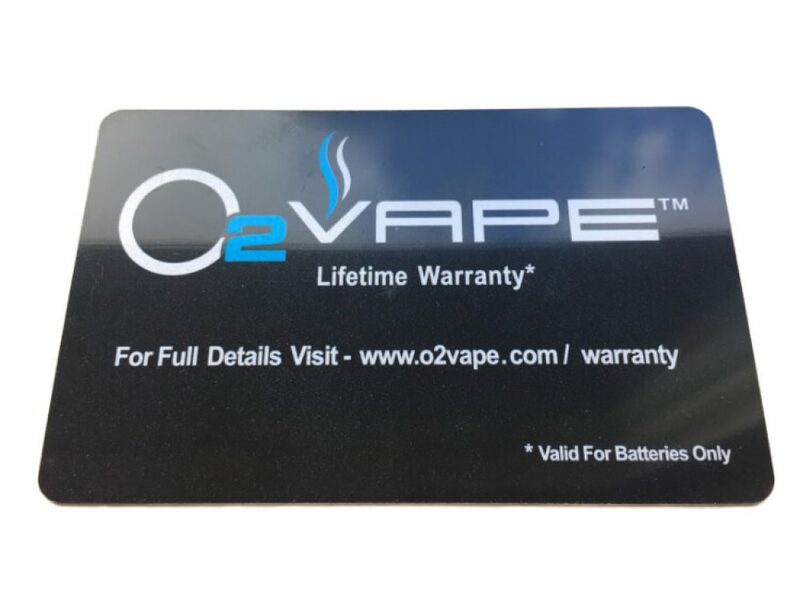 You know the quality of O2VAPE so there is no question about the long lifespan that you can expect from this oil vape pen. Take a look at our video to see all the features and benefits that come along when you push the button and fold it out! For even more features including Variable Voltage and Auto On/Off, check out the FLIP Platinum Edition. Hold the battery with your left hand and press the button on the top right. Keep pressing the power button continuously after the battery has been turned on. The LED light will light up while activated. The maximum amount of time that the battery can be activated is 15 seconds at which point the battery will deactivate until the next activation. Pull out the built in USB charger and connect it to your computers usb port or to an optional usb wall charger. Light is GREEN when charging and when fully charged the LED light will turn off. Remove the usb and push it back into the body of the vape battery. Finally a stealth pen! In non or newly recreational states it is very nice to have a stealth option, and this one is perfect. It is small and fits in any pocket. I have been looking for an easy way to attach a pen to a lanyard for group use on a chairlift. That search is over. Thank you O2VAPE for the Flip! Loving it fam! Very nice quality, easy to use with nice FLIP action. The hit is big, battery life is good and the USB charger is part of it! Thanks, so glad you like it ! Thanks and so glad you like it!! Great idea!! Very stealthy and works very well with the thick oil I use. I really like the built in charger. Good Job O2VAPE!! Thanks for the kind words and glad you like it! works great with co2 oil. not going to lie, it works phenomenally. Well built, folds up small and has everything one needs for a smoke and go. Battery life is great with recharge very easily accomplished. I am very pleased with the Flip. It packs a mean hit and the charge last for a very long time. I can fold it away when I am on the go, or leave it in an up right position on my desk for easy use. It’s a win either way. A great product you won’t be disappointed in. Defiantly worth the price. Marie S.
I love it. The flip action is brilliant! So light and portable. Extremely easy to use. I love “flipping” it and I really love that it is drip-proof,unlike other pens. I love it! It really is perfect for those on the go who want something concealable AND reliable. I have purchased so many different pens, batteries, etc… and this is by far my favorite one. I love that you don’t have to use plastic carts with it and can take advantage of the glass and ceramics. The fact that it has a lifetime warranty made it a simple choice for me. I love this new, concealable, vape pen! Having had great success with my first 02 Vape pen purchase, I was curious about the FLIP Vape Pen. This is a great product! I take it with me everywhere, and have had no problems with leaking. The battery seems to last forever before charging. The design is elegant and my friends have remarked what a fun design it is, and practical, too!! The Flip, along with my 02 Vape premium pen, are my go-to vapes for every situation. Bravo, 02Vape! Hands down the best vape Battery I have ever used. I have tried them all!!!! Goes nicely with my VW key and it’s Tons of fun to flip. Not to mention fits awesome in the pocket. Best part is the charger is built in and can charge up anywhere. Customer service is outstanding! Thanks guys.. STOKED!! Thanks Ryan for the kind words and glad you like it ! You are welcome and thank you ! This is an incredible pen! You can tell it’s very well made and the features were thoughtfully designed. The conceal-ability of it is my favorite feature…I was able to get it past tight security at an event that did not allow vapes (they overlooked the side where the cartridge is visible). When folded up, it’s quite compact and fits easily in my pocket or small purse. The integrated USB charger is a huge plus, as I’m the type of person who misplaces my USB cords all the time. Battery life is stellar – I’ve been using this pen every day for the past two weeks (taking 2-5 pulls a day on average, but sometimes more) and I’ve still haven’t had to charge it again. Buy from this company…their products are super legit and their customer service is wonderful. You won’t regret it! Thank you so much and so glad you love the product! The FLIP is Great!! I got the Stainless steel pen 1st & love both. The FLIP I love cause I can take it with me when riding my bike so anytime I feel like vaping its right there in my pocket. I also love that I can take a huge hit due to the 15 second shut off,which is really great. Thanks again 02Vape. Nifty little device! Works just as advertised…..nice stealth design with good function. I’m a huge fan, outstanding product. With moderate use, the battery will last me two days. The ability to fold the pen, lock it, and tuck it in your pocket and go is outstanding! Glad you like it ! Stay tuned for more exciting things! Great, portable, discreet vaper! I am loving this device and the tanks that you guys sell, this works great for thicker, concentrated oils. Keep up the good work! Thanks so much, glad you like the products! Best pen I’ve purchased and I have plenty of them. I love the fob design. Very nice. Even though this is my first pen, I must say it is GREAT! My sister and I decided to buy one each and we love it! Since then more than 5 of our family and friends have decided to buy one as well. The battery life is pretty damn good. The long draws make it great for every kind of user and the flip keeps it safe and perfect for carrying on the go. I highly recommend this product! Thanks so much ! So glad you like the product and thanks for the referrals ! This is really the best thing on the market. Not only was I impressed with the design, to hold all my 510 cartridges, but it is one powerful unit and all so compact. Love the draw and the charger is just the best! I have had a number of pens and this tops them all. As a medical patient, I can’t thank you enough for coming up with this simple, compact and powerful vaper! Thank you sir! So glad you like the product ! Great product that works like a charm. My favorite! Thank You. Wow! Thank you so much and so glad we had a product that fit all your needs!! Awesome product. Great flip action. I was always snapping the pen style vapes. Great job. Love the flip pen! Indiscreet and works wonderfully! With the usb hidden in the side it looks like a car key. High recommended, going to get one for my girlfriend soon! What a great idea! Ive tried both pens and have not used the flip pen yet but after I do I will update my reviews. I do like the concealment design…. Worth the money. I’d been buying cheap $10-$15 pens that either end up clogging the cart or just burning out quickly. Not only is this one a lot better from the standpoint of not breaking, it holds a charge great and I love the conceal factor. It’s just ‘push button to vape’ which is exactly what I was looking for.